WMAR-2 News is teaming up with the Preston Mitchum Jr. Foundation to get kids ready for school! As this initiative makes a full swing, we need the community's help to donate bags full of supplies for the kiddies. 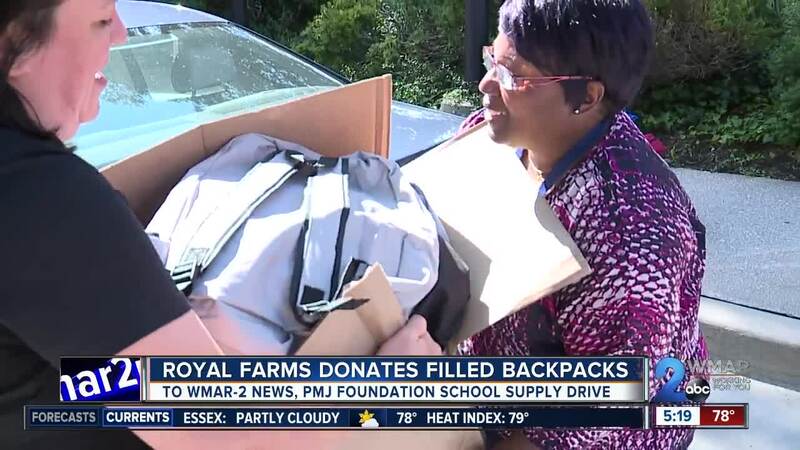 And on Thursday, Royal Farms stopped by to donate 48 backpacks filled with binders, books, a Royal Farms T-shirt, and the best part...a coupon for some free food! "This is actually our second year doing it and when we announced it to the office everyone was super excited and we got a lot of participation from everyone which was really great so we really like doing it," said Shelby Kemp, Royal Farms Project Manager. On the other side of town, in hopes of helping over 3,000 kids, students at Lansdowne Elementary received backpacks full of supplies also at their 'Back To School Rally.' This was courtesy of the Preston Mitchum Jr. Foundation. 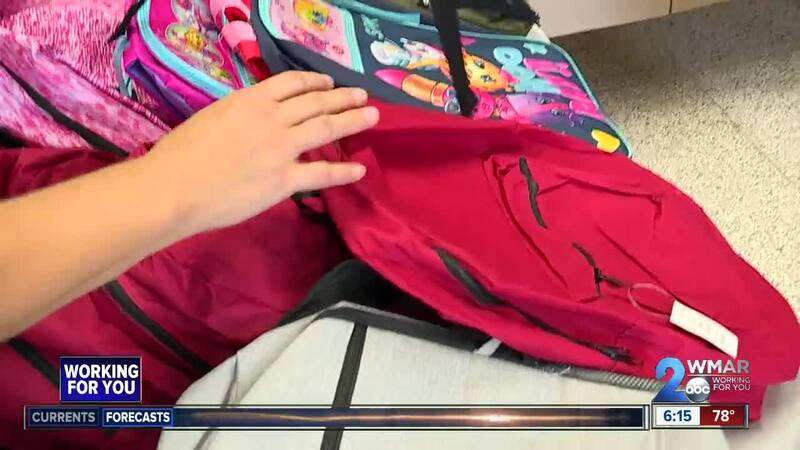 "We give them to students who may not have the money or funds to buy their own backpacks and school supplies, said Angela Martin, School Counselor at Lansdowne. "So every year Preston asks us for about 100 students and their names, and he gives them away." There is still more time to drop off school supplies. Click here for a full list of drop off locations. The drive ends August 31.